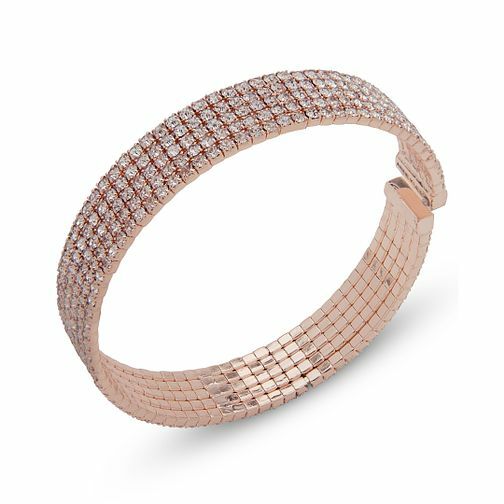 Add sophistication and elegance to your look, with this stunning Rose Gold Tone Crystal Pave Cuff Bracelet from American ladies fashion and accessory brand Anne Klein. Famed for their innovative designs, perfectly created for the style discerning modern woman. This beautiful rose gold tone crystal pave cuff bracelet is impossibly chic. Delicately adorned with rows of dazzling crystals for an undeniably stylish finish .Add the perfect finishing touch to any style, no matter the occasion.